This instalment is part two of a 4,000-kilometre motorcycle road trip. Part one covered the ride along the coast from Sydney and over the Snowy Mountains to Ballarat. 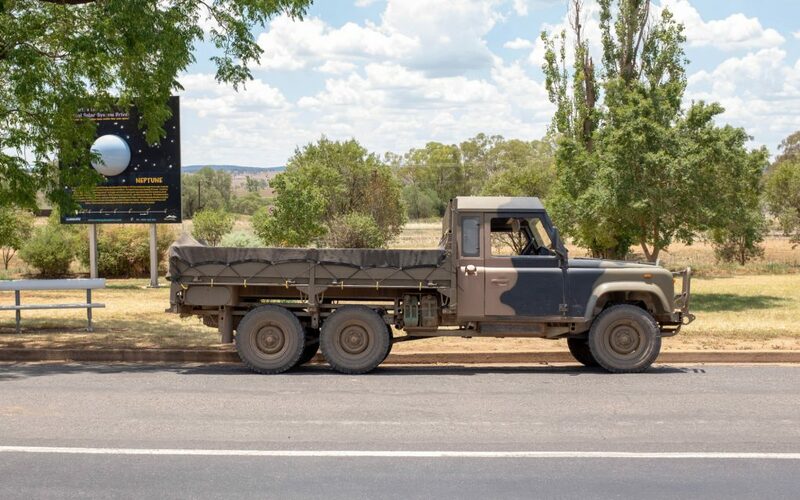 Part two comprises riding 1,607 kilometres north via a hot and dry inland route passing through Deniliquin, Forbes, Dubbo and Tamworth with Brunswick Heads the final stop in this leg of the journey. After five lovely days in Ballarat, I spent the next week in my favourite town of Daylesford. 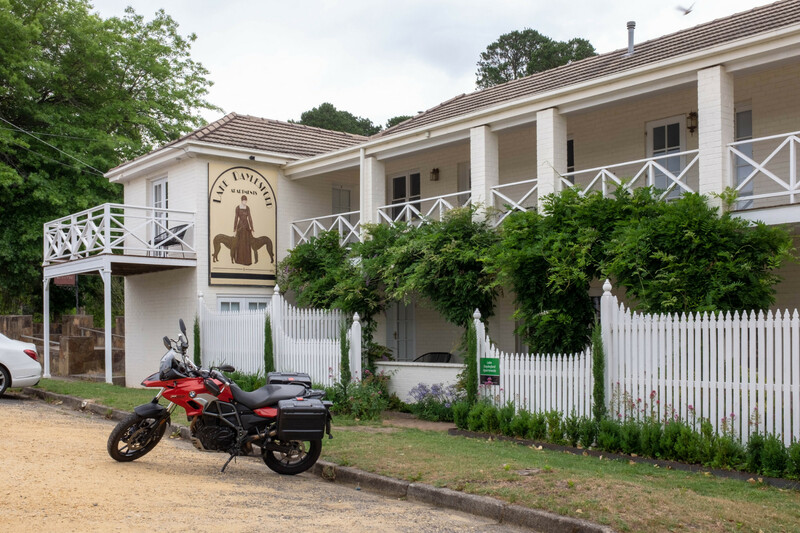 Located 40km from Ballarat, this is an inland town where visitors have been coming for the mineral-rich waters since the late nineteenth century. Originally it was for the ‘cure’ as the waters were purported to have health-giving properties. 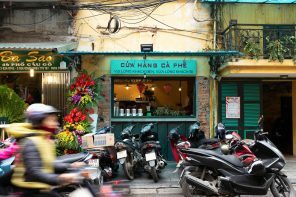 Now, most visitors come for the luxury of day spas and eating in the town’s excellent eateries; see our guide here. 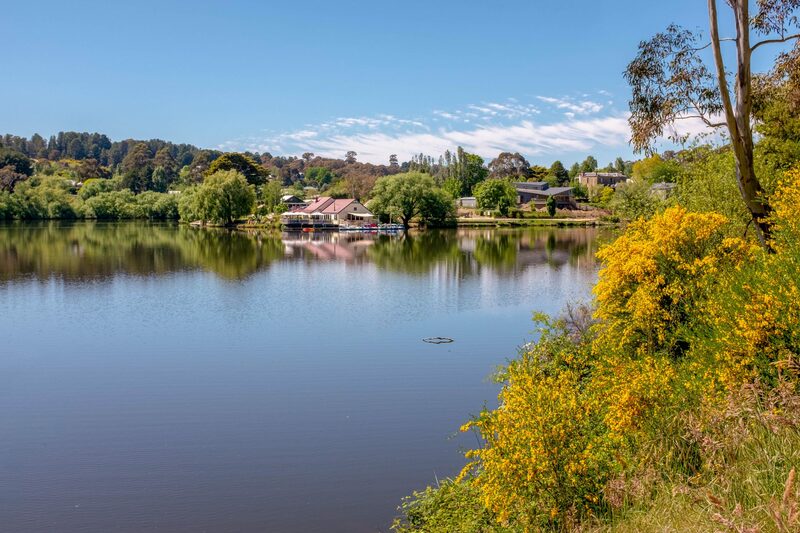 In summer, we choose to stay by the water in the restored Lake Daylesford Apartments. 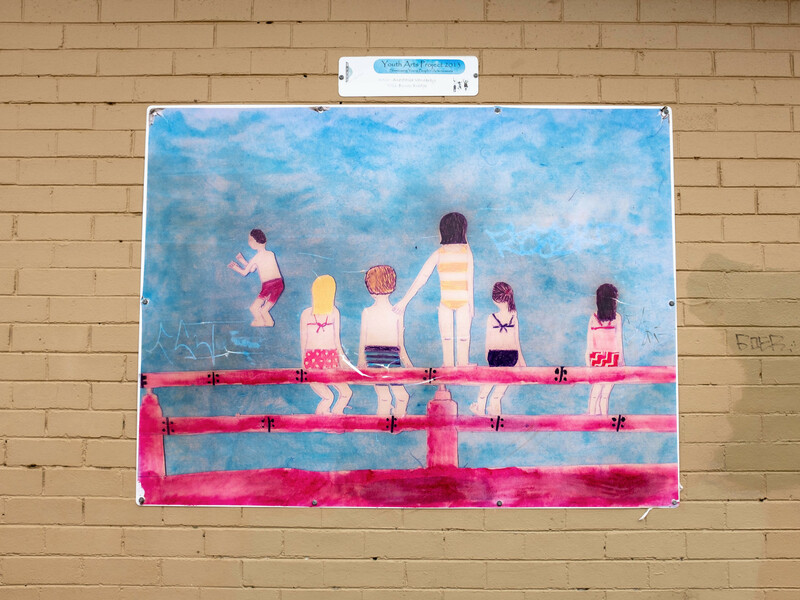 While here, we often feel nostalgic for the kind of Australian summer holiday’s many of us experienced in our childhoods; picnics, walks around the town and swimming in the lake. It was staying by the lake that propelled me to swim every day. I have never been a strong swimmer, more content to have the security of a surfboard than to be on my own in the ocean. Surfing a month or so earlier, I watched a swimmer making her way across Bondi Beach; roughly a one-kilometre swim. In the water, there was a surfer who had been training the swimmer and he spoke about the way she can now swim the length of the beach after only six weeks of training. His advice was to tread water to catch your breath when you start to panic. 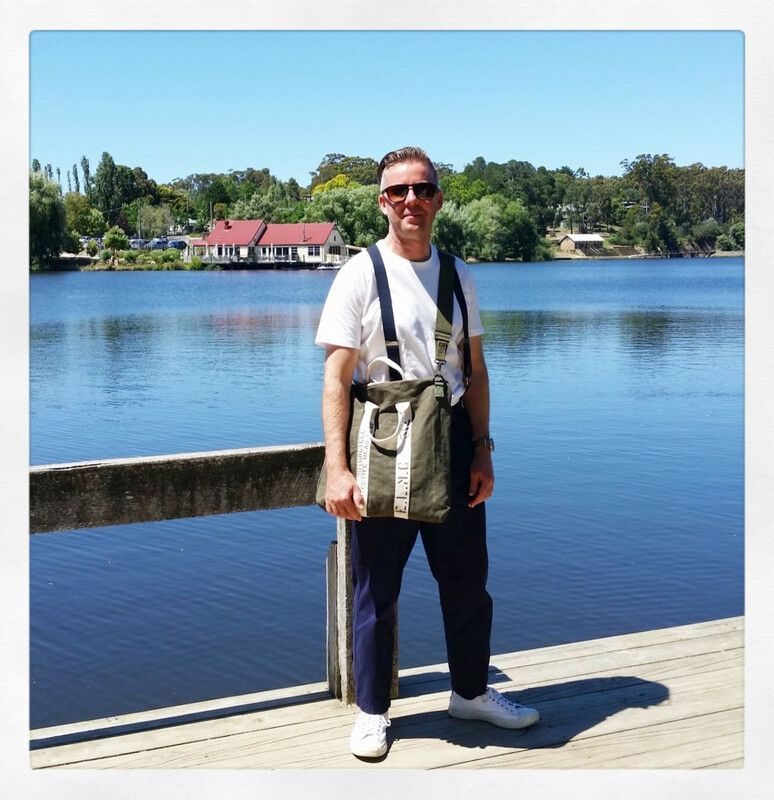 I applied to my own swimming in Daylesford, remembering the lesson and floating on my back whenever I became tired. At this point, I then realised I was unlikely to drown and in fact could keep myself afloat for a considerable period of time. The confidence-building effect of this was huge. I swam further and further into the lake every day, resting whenever necessary. On the second last day I attempted to swim the whole lake, however, found myself too tired and disappointingly unable to make it all the way. Further training will be required in 2019 as I would like to be able to do this. On New Year’s Eve, we joined the crowds as practically the whole town turned out for the Parade. Comprising wood chopping, magic jumping castle, street performers, food (both a sausage sizzle and an organic veggie van), the parade culminated in a display of fire trucks, vintage cars and community groups. At midnight, there were fireworks at the lake, ushering in the new year. 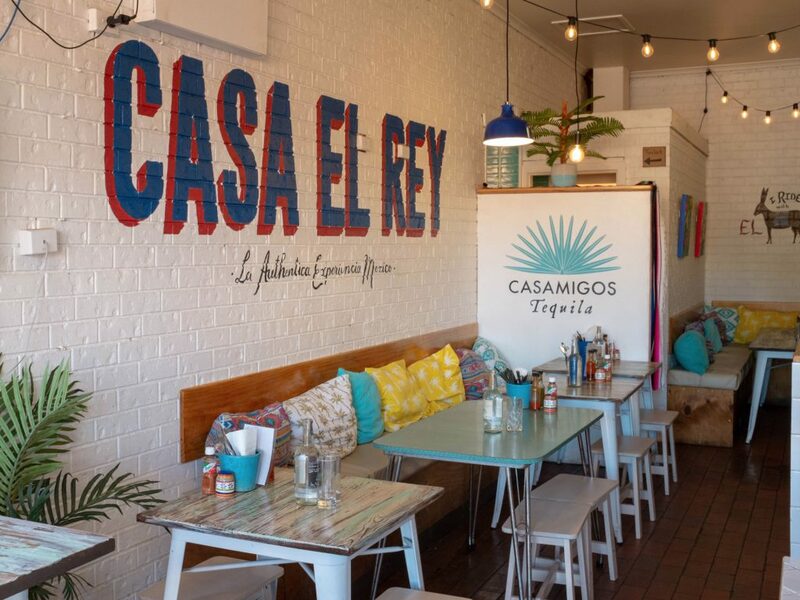 The next several days were spent swimming, walking, reading, eating and relaxing with culinary highlights including breakfast at Pancho, lunch at Liena’s Kitchen and dinner at the Galley Diner. Side note: my Xmas present this year (thank you very much) was a helmet bag from London based street stylist Jason Buckham. This bag beautifully captures the zeitgeist, being made from upcycled military duck canvas and metal fixtures. 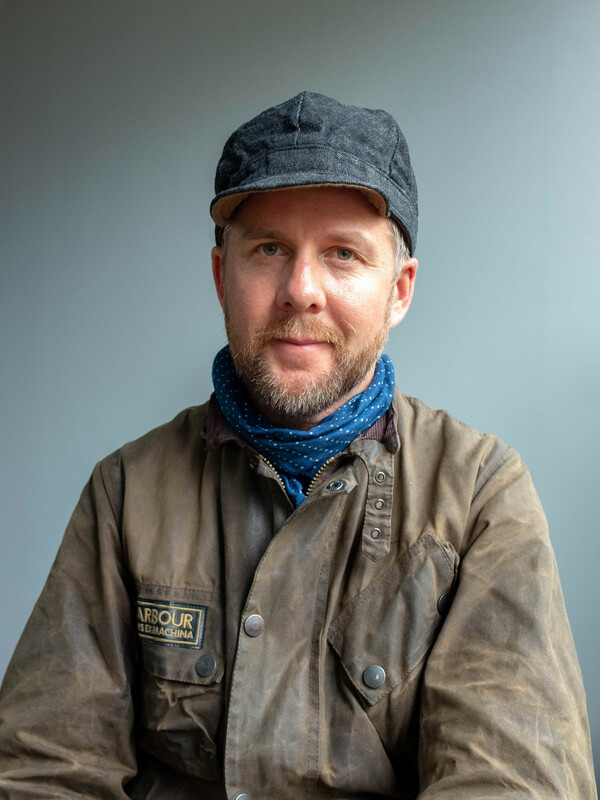 Large enough to accommodate an open-faced helmet, it was purchased for an upcoming motorcycle ride in the mountains of Vietnam; as a way of transporting my helmet, goggles and gloves on the plane. I love the dark green colour of this bag, and it performed well throughout the trip both on an off the bike. 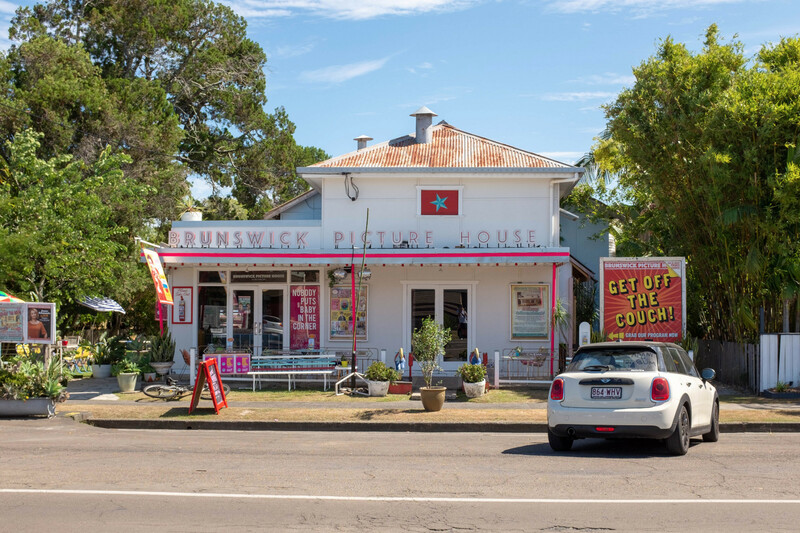 Departing Daylesford, I headed northward along an inland route stopping at Echuca for an award-winning pie at Suttons and a look at the historic paddle steamers. After Echuca, I rode the flat, open plains to Deniliquin, Jerilderie, Narrandera and finally West Wyalong. Temperatures quickly exceeded 40 degrees with 43 recorded outside Deniliquin where I stopped to buy chain lube; I have been re-reading Zen And The Art Of Motorcycle Maintenance and felt that my motorcycle required better looking after on such a long trip. This route is similar to the one taken during winter; however, it feels completely different in summer. The landscape in this part of Australia is particularly harsh. Your first glimpse of it comes in the form of the of the vehicles you see on the roads. Almost all are practical 4x4’s (i.e. Toyota Landcruisers and Mitsubishi Pajeros) with cargo racks containing spare tires, gas bottles and other items necessary for sustaining life out here. 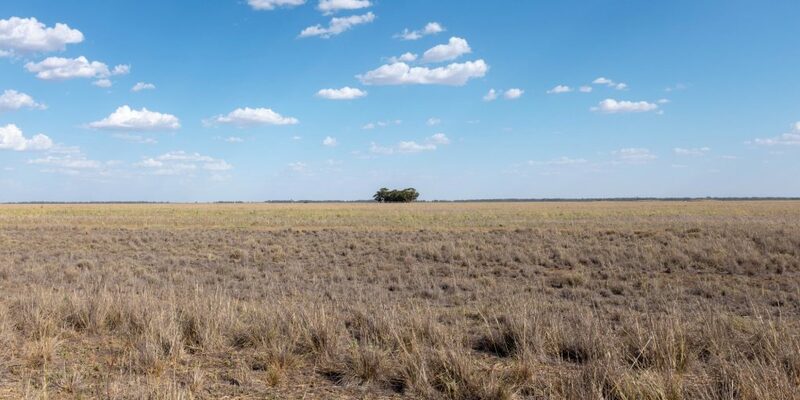 If anything, the landscape is more beautiful in summer with the dried fields contrasting sharply with the washed-out green of those trees clinging to life. The tarmac on this day was so hot that it shimmered in the heat haze creating a water-like appearance in the distance, while the top layer of asphalt had melted in places, making for the unusual experience of hearing the road surface splashing up into your mudguards. As the sun dropped in the sky, the reddish soil turning pink and the dry fields a rich golden colour. It was captivating and I had to resist stopping every five minutes to take photos as I was becoming worried about an unwelcome encounter with a kangaroo in the dusk. 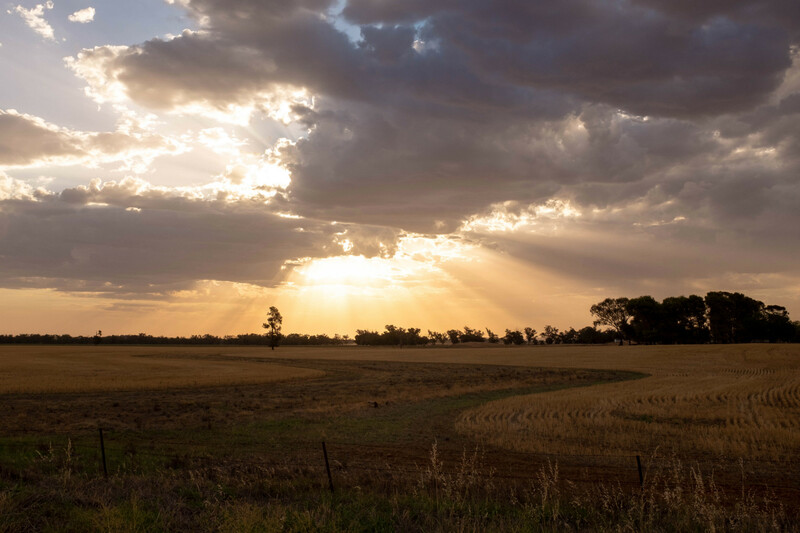 Around 40 kilometres outside West Wyalong, the skies opened with a torrential downpour. The temperature instantly dropped 20 degrees while in the eye of the storm before returning to 35 on the other side. Tired and dehydrated, I arrived at the Royal Hotel to find a well-priced and nicely presented single room with aircon; essential as it was still 35 degrees at 10 pm. Later, I had a good meal at The Serviceman’s Club with its Thai/Chinese/Australian menu. I note that this combination of cuisines seems common in pubs and clubs across regional Australia. Over dinner, I reflected on the day’s riding. The sun had been at my back for most of the afternoon where the temperatures did not dip below 40 degrees for the entire afternoon. Full body coverage was essential for protection against the sun. Even so, my calves, which had taken the brunt of the afternoon sun as I rode east, were burnt through my jeans. Waking the following morning, it was already 30 degrees at 8.00 am as I set off towards the McFeeters Motor Museum in Forbes. 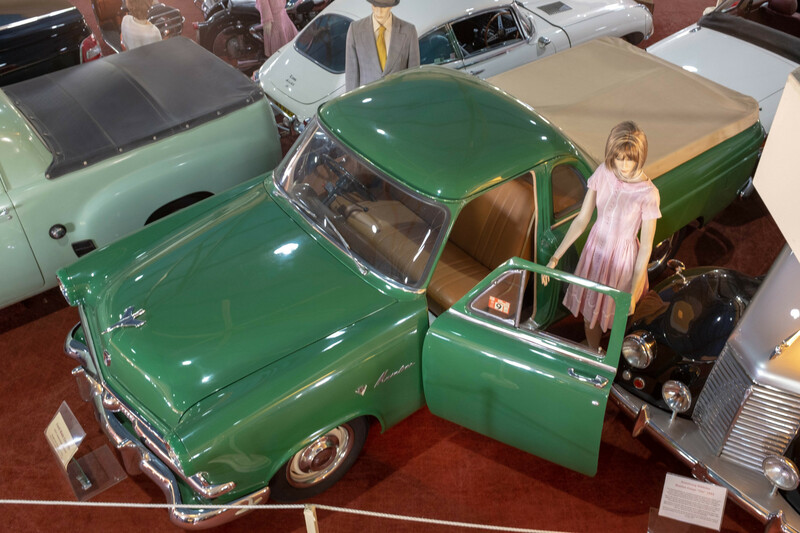 This museum houses an impressive private collection of cars and motorcycles, with additional vehicles on loan from other collectors. 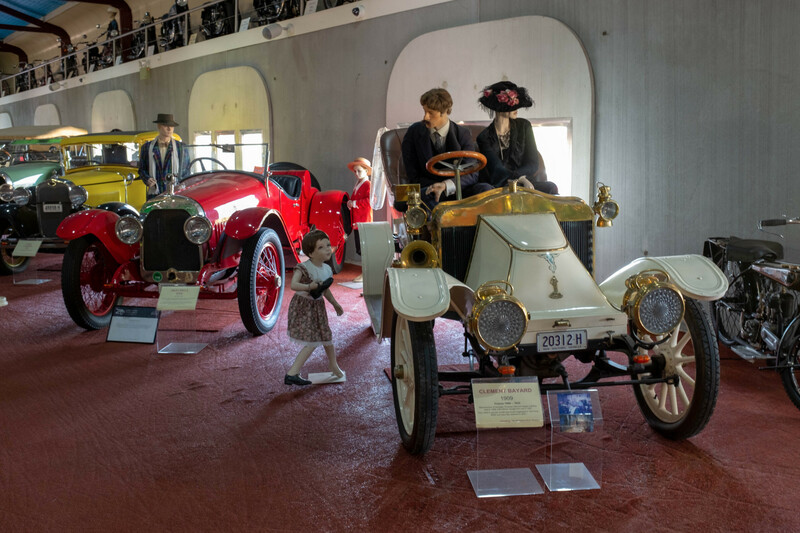 The highlights for me were the early 20th century cars, in particular, the 1910 Ford Torpedo and the two stylish Model A’s. All were lovingly restored and a treat to see. The Bakehouse (also in Forbes) provided a decent breakfast before it was time to ride towards my planned destination for the evening; country music hotspot, Tamworth. The next couple of hours were hot and dry and included Willy Willy’s making their way across the plains. 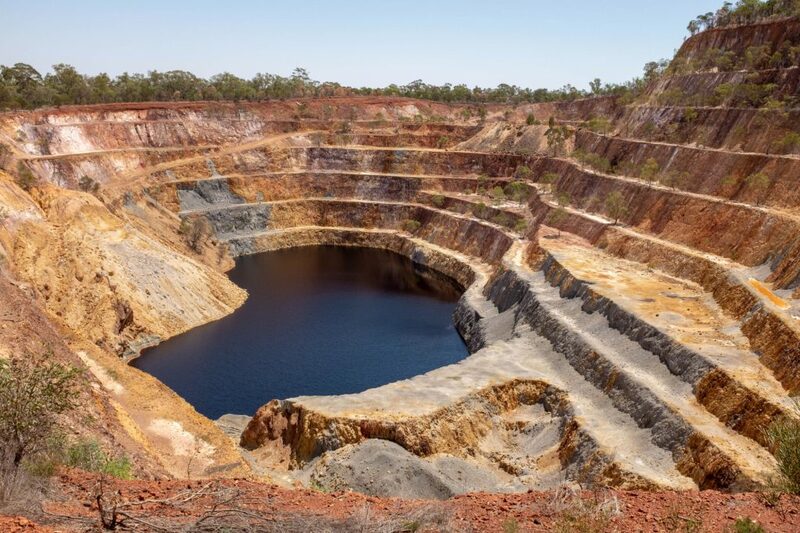 Around 50 kilometres south of Dubbo, I spotted a sign directing me to the Peak Hill Open Cut Gold Mine; now a tourist attraction. This is well worth the detour, featuring a small lake at the bottom and trees along the ridges. After another hour on the road, I stopped for lunch at a bakery in what appeared to be the middle of nowhere. Comprising another pie and Coke, I was beginning to seriously tire of pies by this stage of the trip. Out front of the bakery was a superb Army surplus 6×6 Land Rover. I loved the look of this vehicle and had a bad case of vehicle envy. That was until I heard from the owner that there is no aircon (it was over 40 degrees at this point) and you needed to wear earmuffs over 80km/h due to the diff noise. Still, it looks great. Temperatures stayed in the 35-40 degrees range all day. While not quite as hot as anticipated, it was taxing and dehydrating. 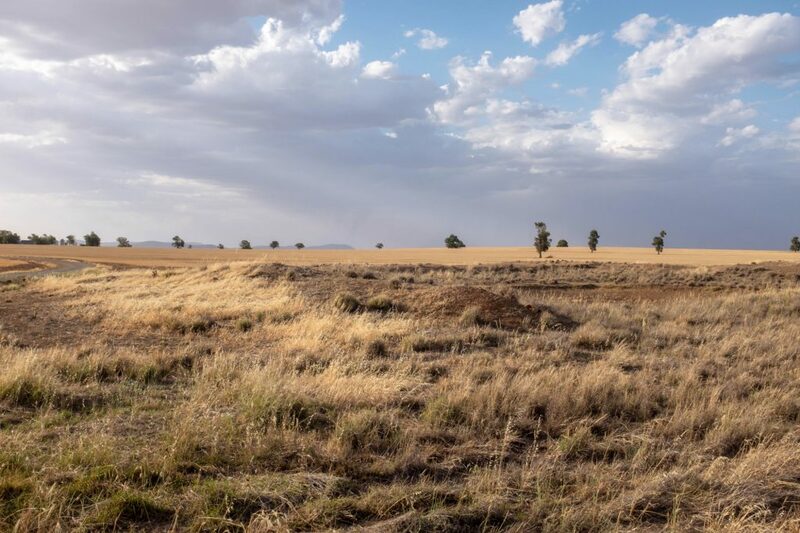 As I made my way towards Tamworth, the terrain began to change from flat agricultural land to low rolling hills with the first feeling of humidity in the air. Tamworth was my goal for the night, however, upon arrival, I felt no connection to the town. I’m not sure exactly what I was expecting, probably numerous visible music venues and guitars, however, for a city known for its country music festival, it seemed rather like any other mid-sized Australian town. I decided to keep moving towards Armadale. 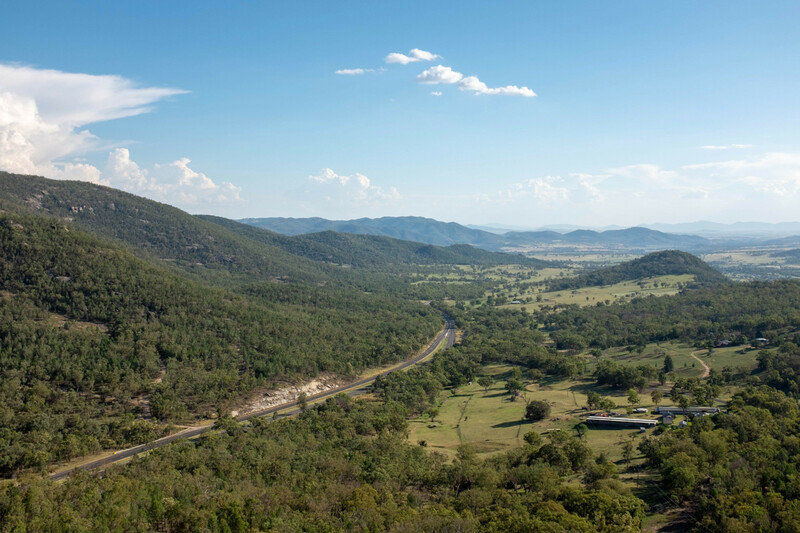 Outside Tamworth is Moonbi Park and Lookout which provides pleasing views over the valley below in the setting sun. Gone are the flat open plains and straight roads. In their place, grassy green hills and turns; lots of turns. Pleasingly, the temperature had dropped to around 32 degrees which provided welcome relief after the dry heat of the previous day and a half. On the way into Armadale, I spotted an American WW2 plane, glistening in the late afternoon sun. 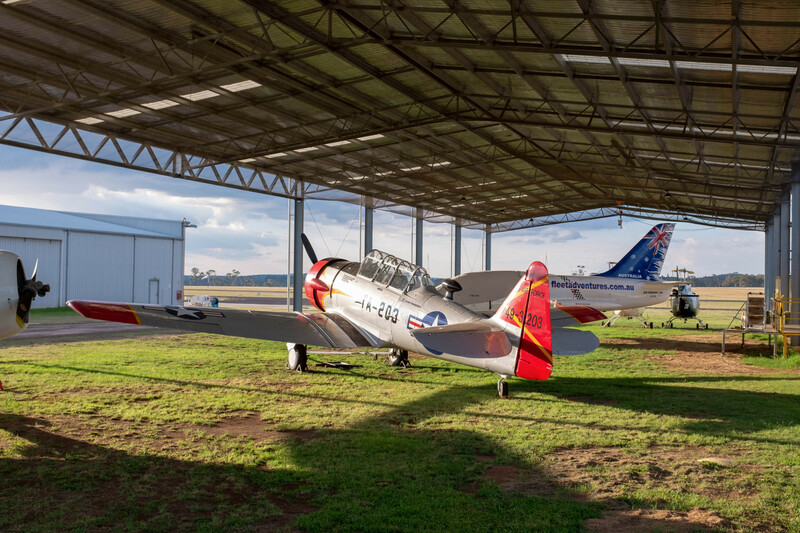 It is a T6 Texan, a trainer plane for Spitfires, Mustangs and other high-performance planes of the era. The plane belongs to Fleet Adventures who will take you up in it for a fee. Armadale itself is a beautiful town, lush with greenery and quality, early twentieth-century architecture. 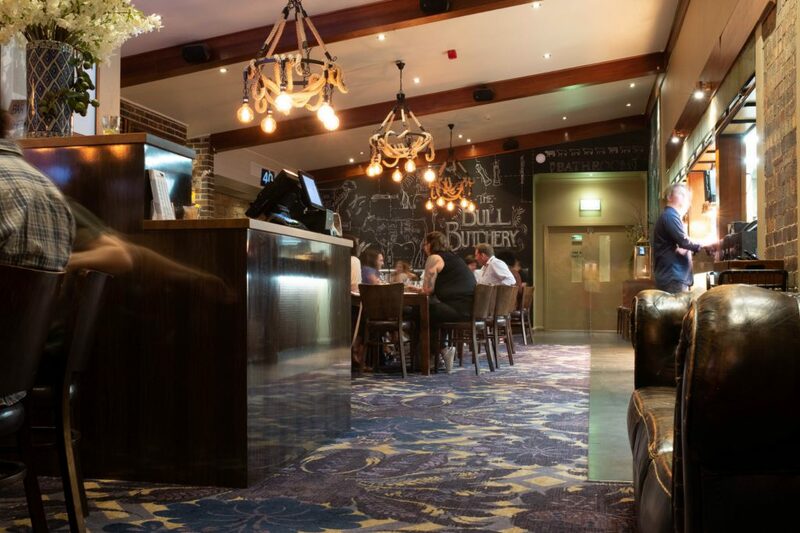 Dinner was had at the White Bull, a country pub of the upscale variety with forty minute wait times and well-dressed patrons. I liked Armadale a lot. It has a good feel and a sense of prosperity about it. Departing early for Byron Bay, the temperatures hovered in the 23-27 degrees range until midday. The road to Grafton with its winding forested roads, lush with greenery and fringed with colourful wildflowers offers superb motorcycle riding with open stretches punctuated by sharp hairpin sections. Even with a number of caravans on the road, there exist ample overtaking opportunities to make this a highly recommended route. 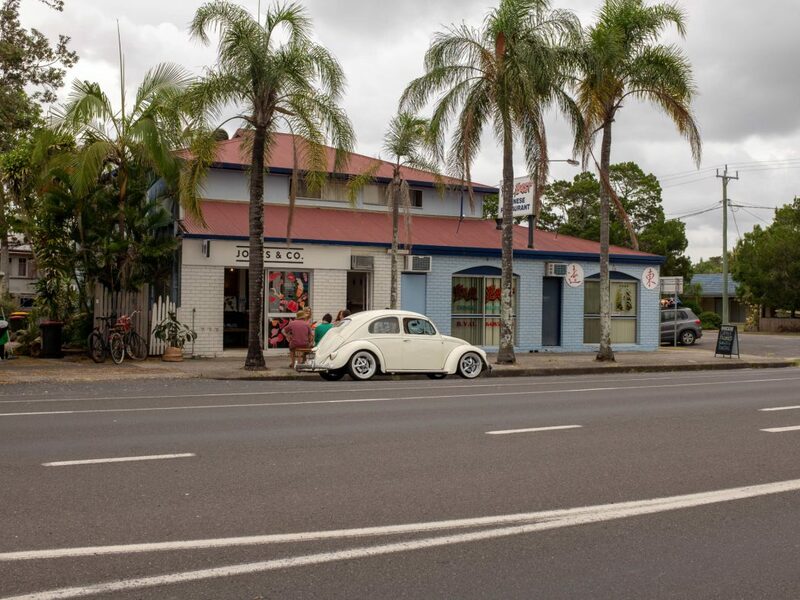 I made quick time as I felt strong and refreshed, pushing onto the New Italy Museum, about an hour south of Byron Bay. The museum showcases the extraordinary contribution of Italian migrants to the area and has an attached cafe where I ate lunch. It was now hot and humid, and I was looking forward to a swim. 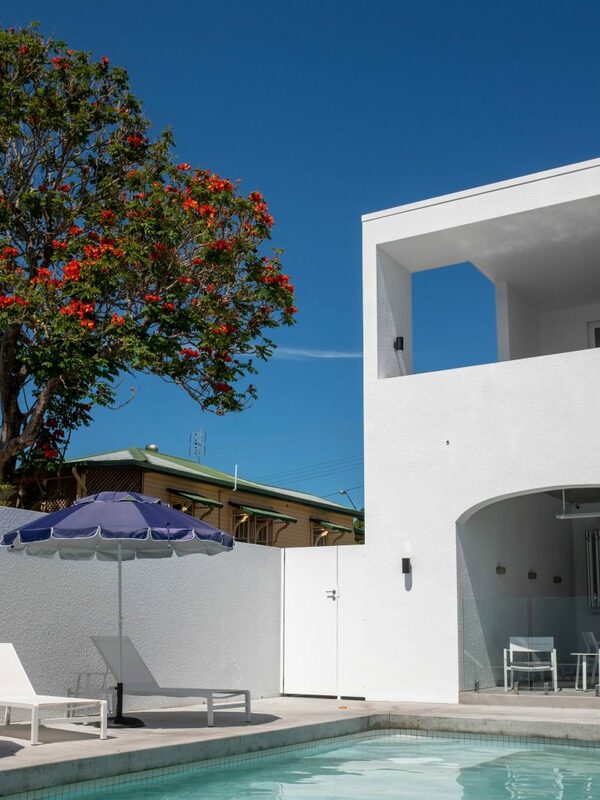 Searching for somewhere to stay in Byron Bay (my intended destination), I found a smart looking motel in Brunswick Heads, thirteen kilometres to the north. On the strength of the pictures alone, I booked it. And boy was I glad I did. The Sails Motel has been revamped in a coastal cool meets Hip Hotel style (I may have just made that description up). The service is friendly and the swimming pool a delight after a hot morning on the bike. Meeting one of the owners, there is a clear commitment to design with the rooms attractively decorated and appointed. 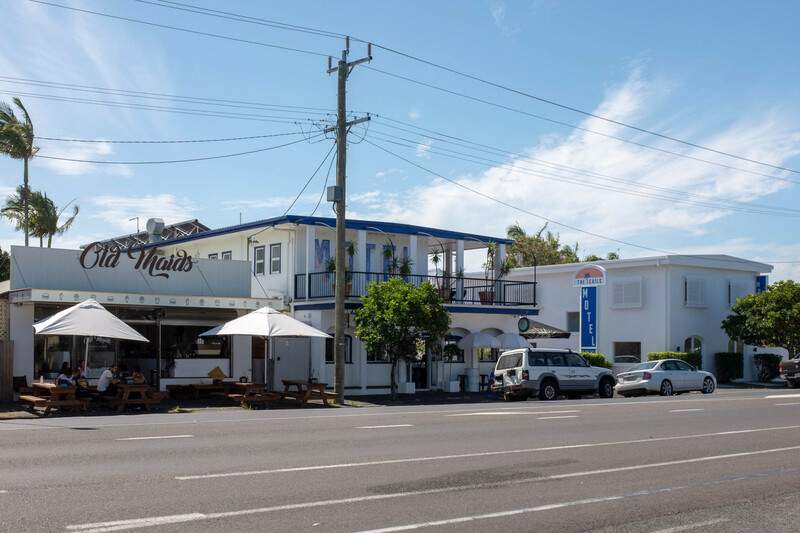 Walking a couple of minutes into town, ‘Bruns’ as the locals call it, impresses with an abundance of casual food and beverage venues with a healthy beachside bent. 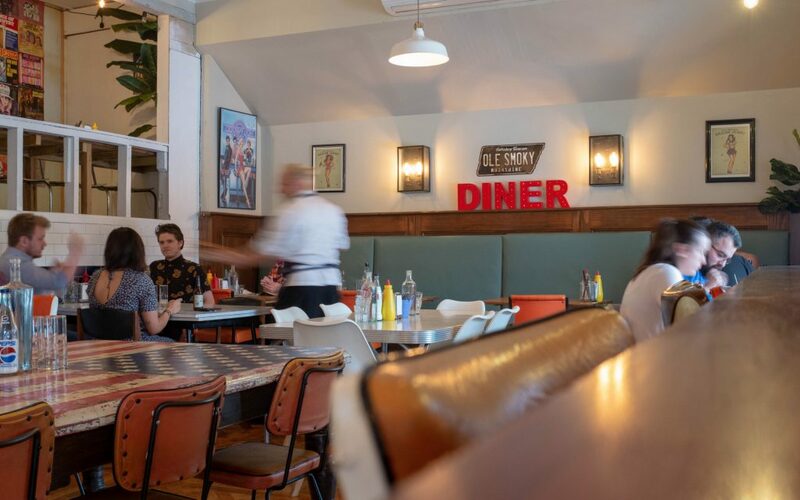 One of the top regional restaurants in Australia, the two-hatted Fleet, is also in the town, raising the bar even further. These F&B offerings are supplemented by independent retail, a relaxed feel and fit, healthy-looking people everywhere you look. 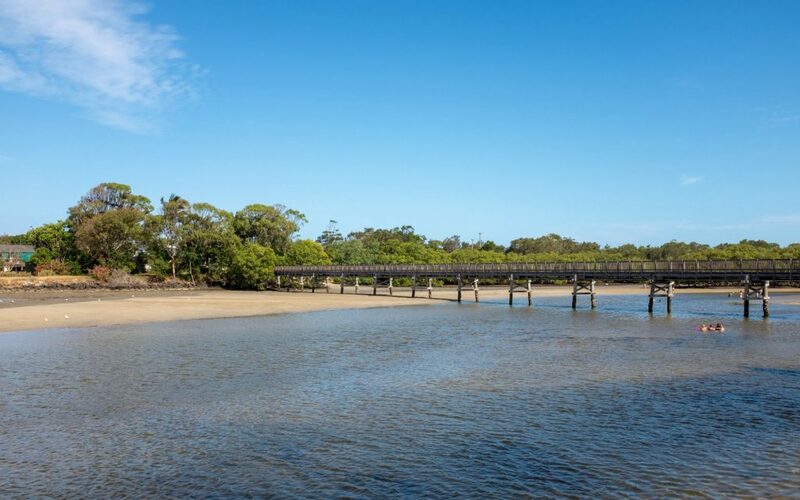 Geographically, Bruns is situated on a river with surf beaches only a five-minute walk away. The town seems to comprise a mixture of hippie and hipster attitudes with people coming from all over to enjoy the casual ambience. 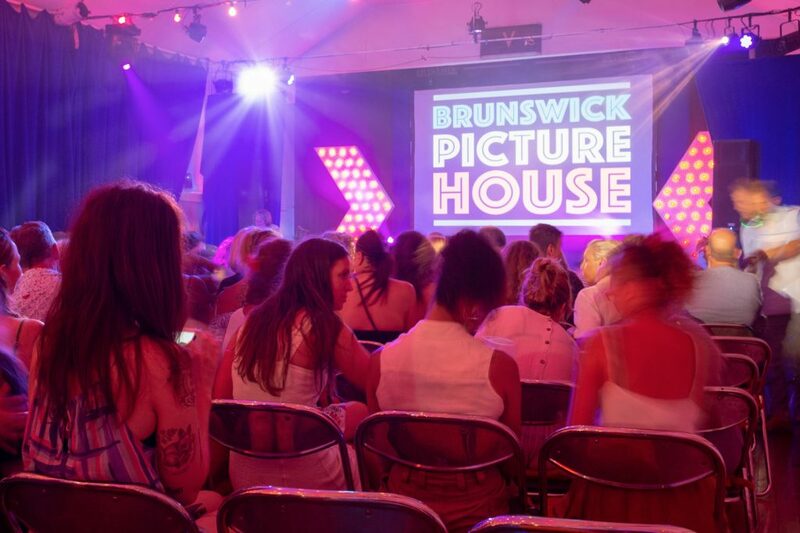 Walking past the Brunswick Picture House, an ultra-cool cinema/Cabernet venue, there was a sign for 80’s night featuring the Dirty Dancing movie at 7 pm followed by a silent disco at 9 pm. Upon arrival, the atmosphere was bursting with fun and good cheer as I entered the cinema. The Dirty Dancing soundtrack was blaring, and it turns out there was going to be singing and dancing during the film. Some of the women dressed up in an 80’s style; fingerless lace black gloves and all. Having never seen Dirty Dancing, I appeared to be the only one who hadn’t as everyone knew the characters, booing at the baddies and cheering, hollering and whistling when Patrick Swayze takes his shirt off; this happens a lot. Both the film and the 80’s silent disco were brilliant fun. Having never been to a silent disco, you wear headphones and listen to one of three tracks played by the DJ. If anything, this is liberating, particularly if you’re in your own, as you can dance around without the usual feelings of awkwardness. 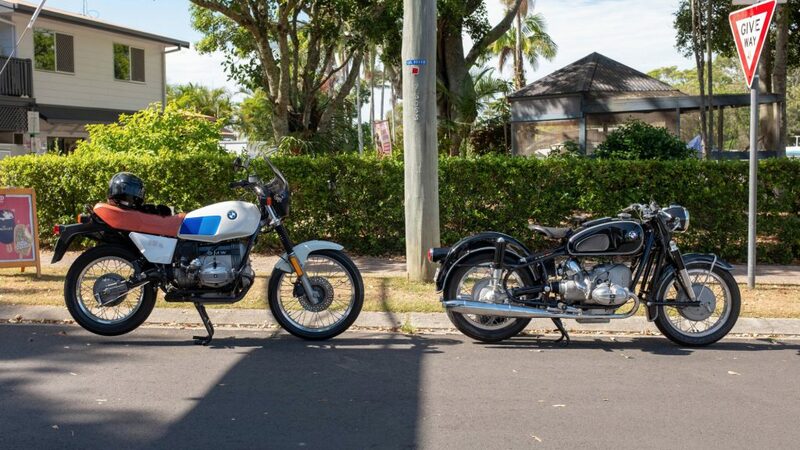 After a healthy breakfast at Footbridge cafe, I again wandered around the town, spotting two magnificently restored BMW motorcycles; a 1985 R80 Dakar and a 1960’s R60. Both bikes had undergone significant restorations with the owners informing me that they rode very well. Then it was onwards to Byron Bay with its famous lighthouse and Watagoes Beach. Riding into Byron, it was just as many Bruns residents suggested; heavily trafficked, crowded and busy. It feels as though everything people were looking for in Bryon Bay—a casual coastal holiday destination—is now at Bruns. Leaving fairly unimpressed, I followed the roads to the Lighthouse before riding down to Watagoes Beach for tea on the veranda at Raes; a luxury hotel, spa and restaurant. The below map outlines the 1,607-kilometre route taken from Daylesford to Brunswick Heads. 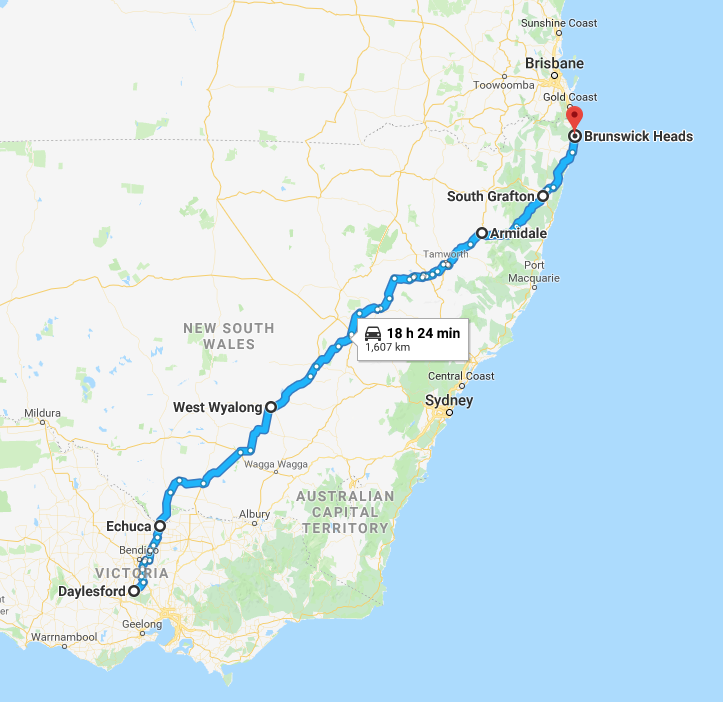 On the next post, I cover the final leg; the 1,111 kilometres from Byron Bay to Sydney. Gear for this three-week motorcycling adventure comprised many travel-proven items. Saint Kevlar denim vest and Unbreakable jeans, Barbour x Deus waxed cotton jacket, Harrolds Gear unlined leather gloves (these wore out on this trip after twelve years of riding and have been replaced by the same pair which is now produced under the Deus ex Machina brand), Scarpa hiking boots (good on the bike and necesssary for hiking in the mountains), Patagonia shorts, long sleeve T-shirt, vest and waterproofs, Engineered Garments workshirt, Freewheelers bandanas (essential for keeping the sun off when hot and chill out in the Snowy Mountains), two bags; one plain black Country Road duffle in the pannier and above mentioned Rugged216 duck canvas helmet bag strapped to the seat, two books (Haruki Murakami’s South of the Boarder, West of the Sun plus Zen and The Art Of Motorcycle Maintenance), Barton Perreira sunglasses, Trophy engineers cap, Bell & Ross diving watch, Pendleton jumper, Best Made long johns and four changes of underwear, t-shirts and socks.